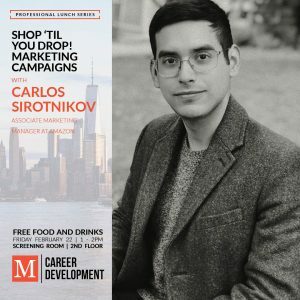 Carlos Sirotnikov is the Associate Brand Manager at Amazon in the Fashion Private Label team. 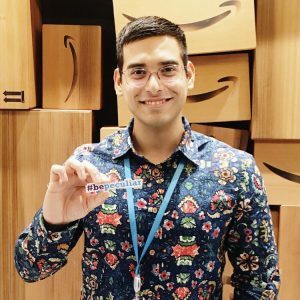 Previously, he was the Associate Marketing Manager, working on customer acquisition and traffic initiatives for the Business, Industrial, and Scientific Supplies category, focusing on internal paid search, onsite merchandising, and SEO channels. He is also a Content Bar Raiser (CBR) at Amazon, responsible for reviewing and approving campaigns that launch on Amazon’s homepage. He previously worked in advertising operations at Condé Nast where he launched display advertising campaigns and optimizations across Vogue, The New Yorker, Architectural Digest, and GQ. He graduated from Macaulay Honors College at Baruch College, CUNY, with a BBA in Marketing Management. He currently lives in Seattle, Washington.